Team Junqueira Morgantown is proud to announce that we are now a Klean Athlete Nutritional Supplement Affiliate! This means that we can provide our Athletes and the surrounding community with ultra clean "professional grade" NSF certified vitamins and supplements manufactured right here in Pittsburgh, Pa! Contact Neale Hoerle @ info@teamjunqueiramorgantown.com for information and pricing! TEAM JUNQUEIRA MEMEBERS RECEIVE DISCOUNTS! * Ask Me How! *Memeber code required for discount. We apologize for any inconvenience and wish you a happy holiday season as well as new year! WAKE UP WITH JIU JITSU! You've asked... and we've answered! 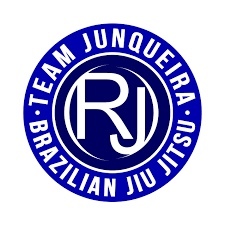 Beginning tomorrow, Monday Sept 18 , Team Junqueira Morgantown will offer early morning BJJ classes! RISE AND GRIND with the early morning crew every Monday and Wednesday at 6:30am!!! Coffee is optional... Chokes are guaranteed! Kick start you week with the best workout imaginable. Class will consist primarily of drills (at a moderate tempo) and last 45 min. Showers are available so pack your gear for the day and come join us! Professor Neale Hoerle invited to Philadelphia to battle for cancer! 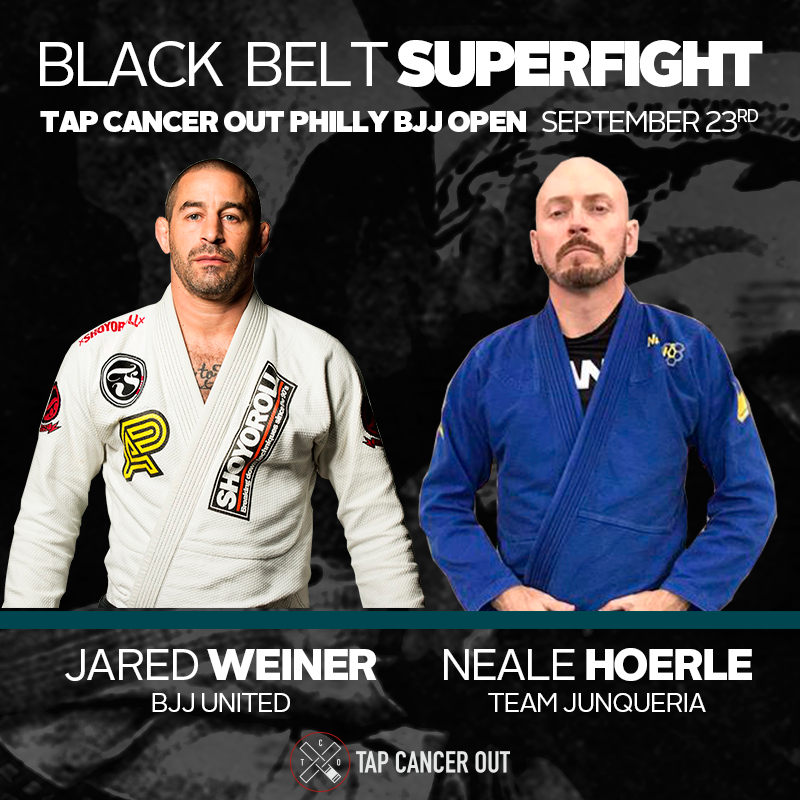 On September 23, 2017 Team Junqueira Morgantown Head Coach Neale Hoerle will travel to Philadelphia to fight renowned Black Belt Jared Weiner (BJJ United) in a Superfight contest to benefit cancer research. Tap Cancer Out, the host of the event, is donating all proceeded to the Pancreatic Cancer Action Network for cancer research. Only 5 days have passed since Professor Hoerle returned from Las Vegas and the IBJJF World Masters Tournament. Not one to let grass grow under his feet he has chosen to jump right back into the mix and do battle for a very worthy cause. Any and all monies that are pledged to Professor Hoerle through the campaign will go directly to cancer research. Spread the word, donate or come and support! God is good! CLICK HERE TO SUPPORT THIS CAUSE! TEAM JUNQUEIRA JOINS PRO PERFORMANCE! Team Junqueira Morgantown is proud to announce it's partnership with Pro Performance Rx! Effective Sept 1, 2017 Team Junqueira Morgantown will be permanently located inside of the Pro Performance Rx (Pierpont) location at 308 Cheat Road! It's not every day the greatest of all time visits your Academy! Team Junqueira / Marcelo Garcia Pittsburgh Association hosted the 5x World - 4x ADCC Champ this past Saturday for it's annual affiliation seminar. Academy owner Rodrigo Junqueira and Marcelo are long time friends from back home in Brazil and had plenty of stories to share about the early days of BJJ in Brazil as well as stories about coming to America. If that wasn't enough participants got a peek inside the mind of the humble Champ as he shared his favorite techniques on the mat for 3 hours with a packed house of over 60 BJJ students! It was an awesome day indeed! Team Junqueira is currently accepting new students at both the Wexford Pa. and the Morgantown WV. locations! Stop in and enjoy your first week on us! 100% free absolutely no obligation! We are Team Junqueira. We are Family! Marcelo Garcia 5x World - 4x ADCC Champ packs the house at Team Junqueira / Marcelo Garcia Pittsburgh Association this past Saturday! 4 Team Junqueira athletes to compete at the F2W Pro 42! Team Junqueira athletes Kevin Goodwin (Pittsburgh), Georgina Staley (Pittsburgh), Brian Gumbs (Morgantown), and Alan Gumbs (Morgantown) took the stage in F2W's Pennsylvania debut! The Team had a great showing and we are super proud of their results and the effort they showed! The full event can be found on Flograppling.com! Since retiring from competition in 2015 Coach Neale Hoerle has dedicated his time and energy to growing the Academy and bettering his skills. As a reward for his efforts Head Coach Rodrigo Junqueira honored him as his second Black Belt in 2016 and opened the door to the next level of dedication and training he would experience. One year has passed since that day and barring the exception of the New York Spring Open (April 2017) Coach Hoerle has not seriously competed since early 2015. Today that changes as Coach Hoerle has announced that he will return to IBJJF Competition, beginning this July, at the IBJJF New York Summer Int. Open. Not one to rest Coach Hoerle will be following up his return performance with the IBJJF World Master's Championships, the following month, in Las Vegas Nevada. We would like to wish him good luck and God speed as he sets out, once agin, on what will surely be a difficult and epic journey! Oss! Team Junqueira Morgantown student Omar Mozahem (Middle weight Purple Belt), under the guidance of Rodrigo Junqueira, steps on the mats at the most prestigious Brazilian Jiu Jitsu competition on the Planet! Omar won an impressive two matches to start he day but failed to advance past the 3rd round succumbing on points to a very impressive player. Quite an impressive performance and inspiration to us all! Our students in the NEWS.. Yesterday a few of our students journeyed to Southern WV to compete in the ADCC Gi and No-GI Nationals - Alan Gumbs (Lightweight Purple Belt) won GOLD in ALL THREE of his Divisions (Gi, Absolute Gi and No-Gi) Mean while his brother Brian Gumbs (Heavyweight Brown Belt) placed Gold in the NO-Gi PROFESSIONAL Division as well and earning SILVER in his Gi Division... not to be forgotten their teammate, Chance Grillot (Light-Feather weight Blue Belt) scored an impressive TRIPLE SILVER in ALL THREE of his respective divisions. Simply impressive! Congrats guys! Please help Team Junqueira raise money for Micthell Mongomery's fight against cancer! My name is Neale Hoerle and I've been a Jiu Jitsu athlete for over 20 years. In that time Jiu Jitsu has taught me humility, respect and honor and I believe it has changed my life for the better. I am currently ranked Black Belt in Brazilian Jiu-Jitsu and although I haven't competed in two years I feel compelled to step back on the mats this April at the IBJJF New York Open. My main goal and inspiration is a young man named Mitchell Montgomery. Mitchell who is only 4 years old, was diagnosed on September 28th with a Wilms Tumor and is currently in treatment for Stage III Kidney Cancer. Wilms tumor is a relatively rare cancer with about 500 cases diagnosed each year in the U.S. Mitchell went through 6 weeks of chemotherapy to reduce the tumor so surgeons could remove the cancerous kidney. After several months of treatment, the tumor shrunk just enough for the kidney to be removed. My fight is for Mitchell. In the 20+ years I have been a part of the BJJ community I have seen us pull together to help one another and I can find no stronger motivation in my heart than to fight for Mitchell... He is fighting a much tougher fight than me and I would love to hang my Gold medal around his neck for Championing cancer with strength and honor. I pledge to donate 100% of the monies I can raise through this campaign to Mitchell and his family and I am asking for your help! Every dollar counts... please find it in your heart to support the Montgomery family through my efforts.